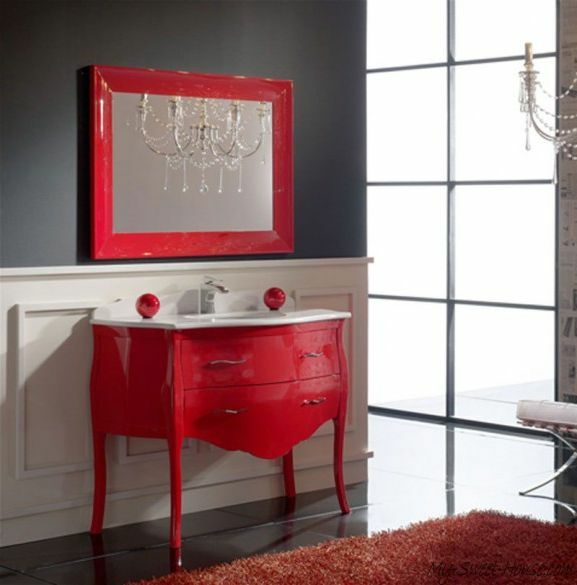 One of the most important element in the interior design is color scheme . 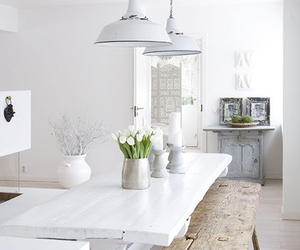 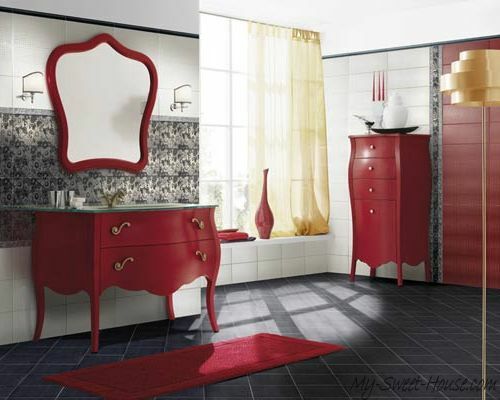 The general mood, comfort and style of the house depend on the correct choice of the color. 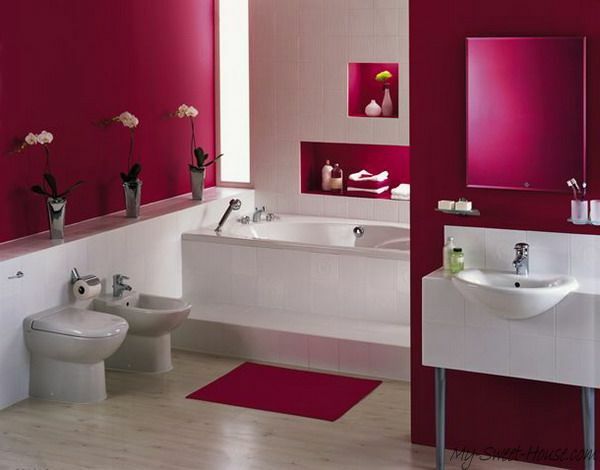 Bathroom area is usually a small sized space, so it is particularly important to consider the color that will dominate in its decoration. 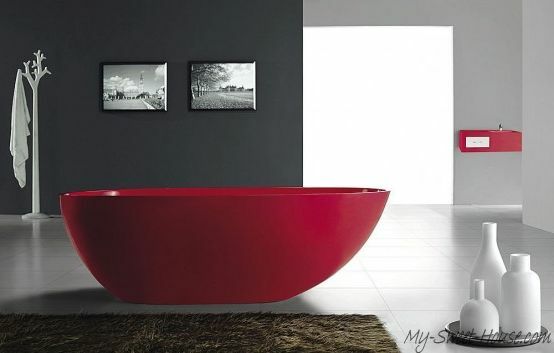 It recently became fashionable to use saturated colors instead of conventional translucent ones. 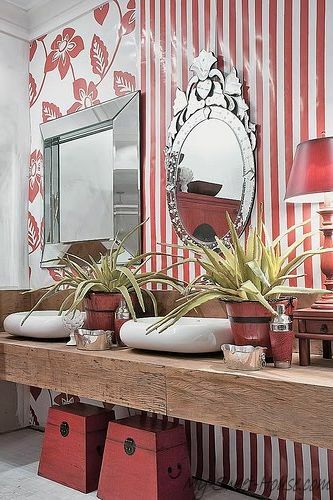 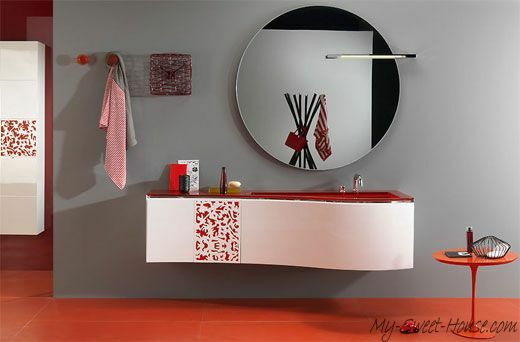 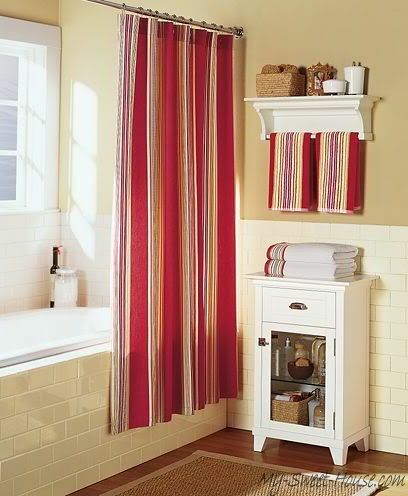 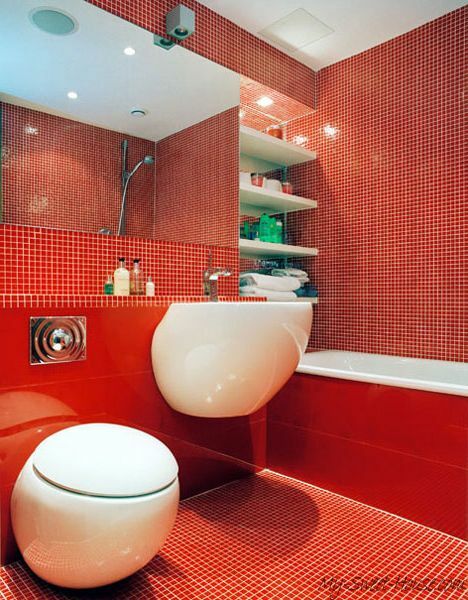 The red color in the interior design of the bathroom is a perfect stimulus able to inspire joy and happiness, but don’t overuse it and do it carefully. 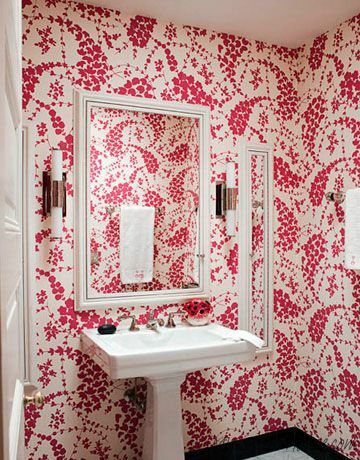 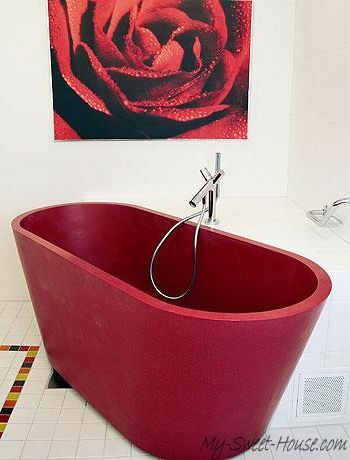 Using aggressive saturated red is acceptable, possibly due to the fact that the bathroom is not a place where a person spends much time, and so bright color will not incur a negative impact on his mood, but rather give optimism and energize. 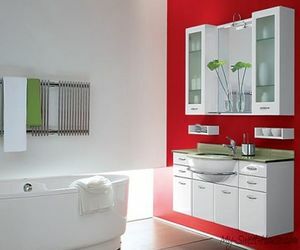 The presence of the active color in bathroom design will add heat to the environment, where normally there is a predominant cold water element. 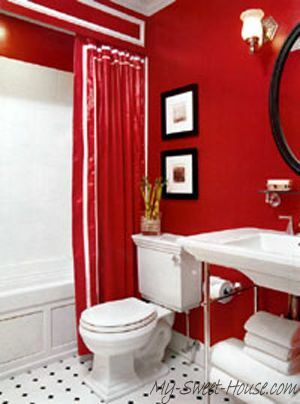 It’s worth noting that the warm red color has the ability to make the room visually smaller, so the red walls are allowed in really big rooms only. 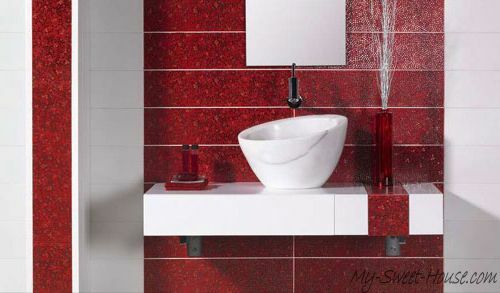 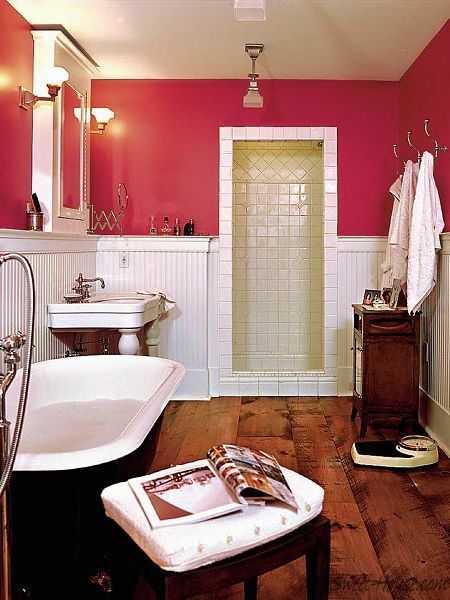 Facing red glazed tile bathroom accentuate white sanitary ware . 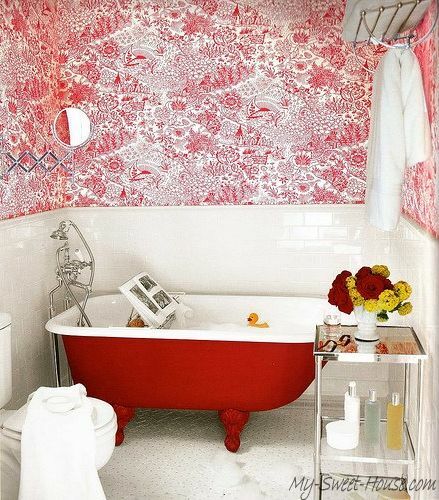 Small bright accents on the background of the main relaxing background , for example, red curtains for the bathroom, draw attention to the decorative elements. 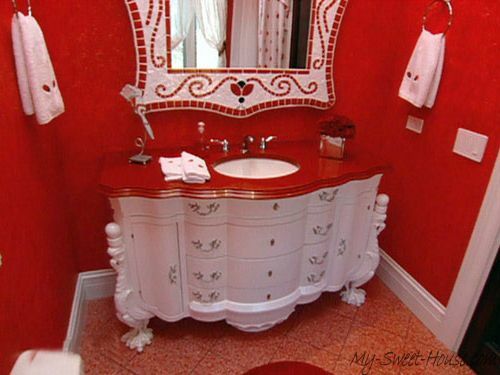 It is impossible not to notice that red means “rich”. 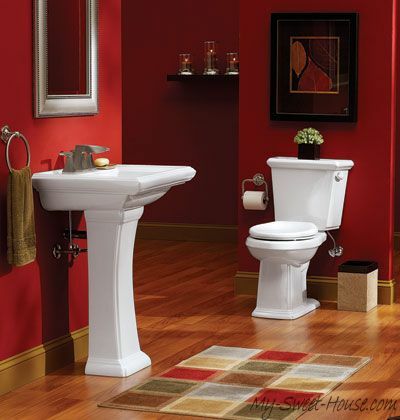 Indeed, plumbing red once said about prosperity of their respective owners and emphasizes the spectacular interiors.